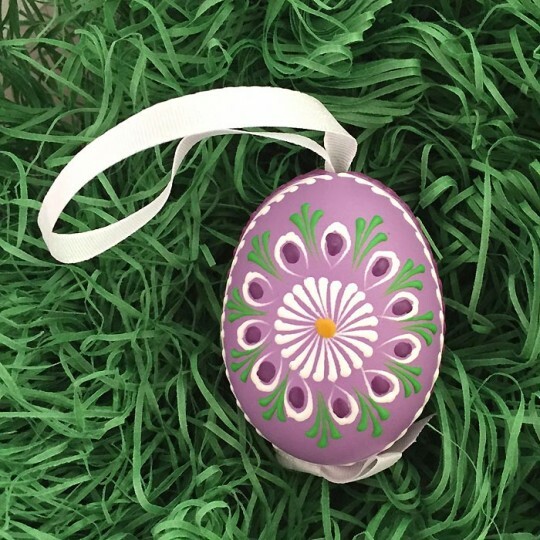 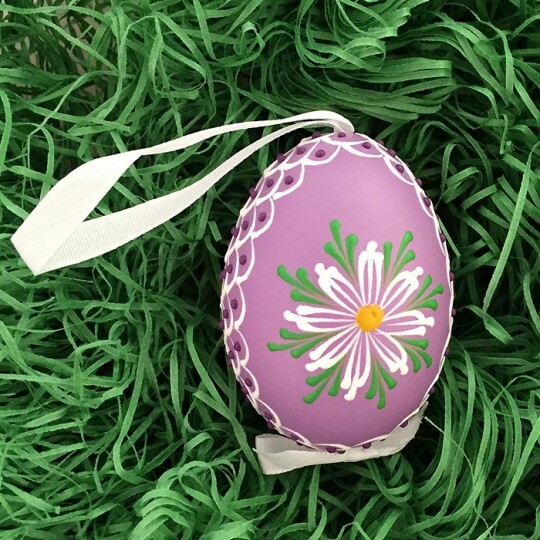 Handmade from a real chicken egg, this purple egg ornament features a folkloric hand painted floral design with a detailed geometric border. 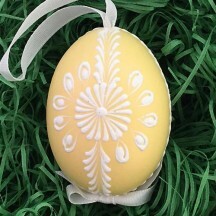 Egg measures approximately 2-1/4" tall with a 2-3/4" ribbon hanger. 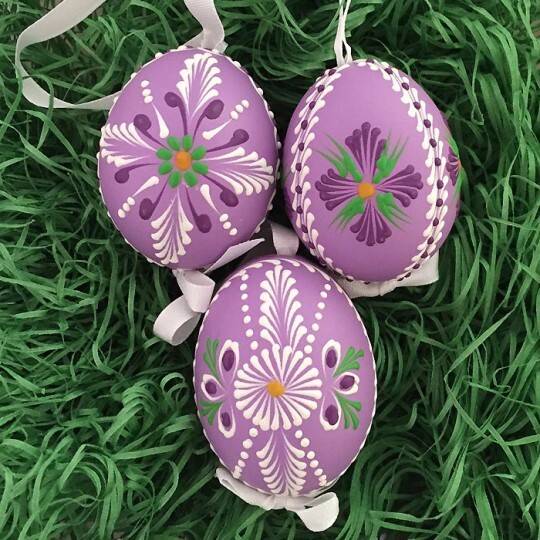 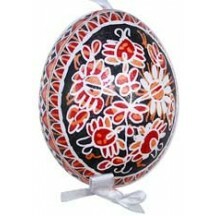 Handmade in Slovakia using traditional methods for handcrafting Eastern European Easter eggs. 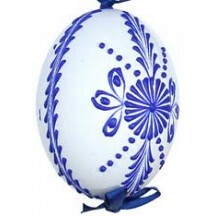 Each egg's border differs, please let us choose for you.